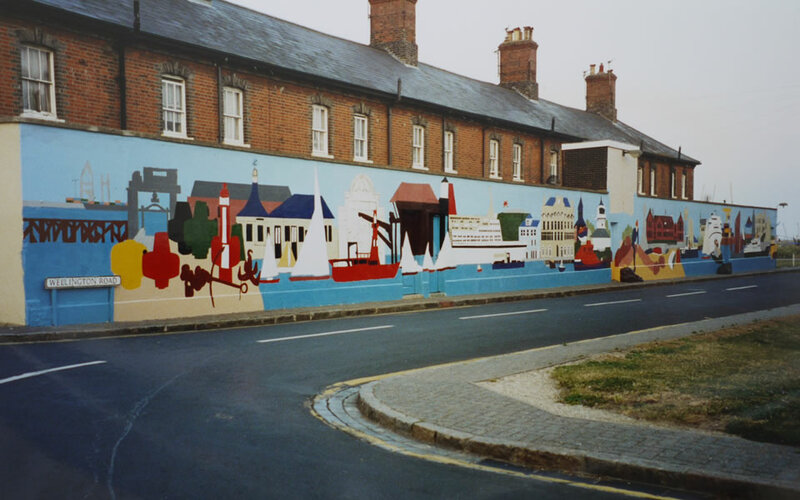 The mural was commissioned by the Harwich Society in 1982 with some painting work carried out by pupils of the local Harwich School. It depicted buildings around the Harwich Green, set in a time sequence from ancient at one end to modern at the other. 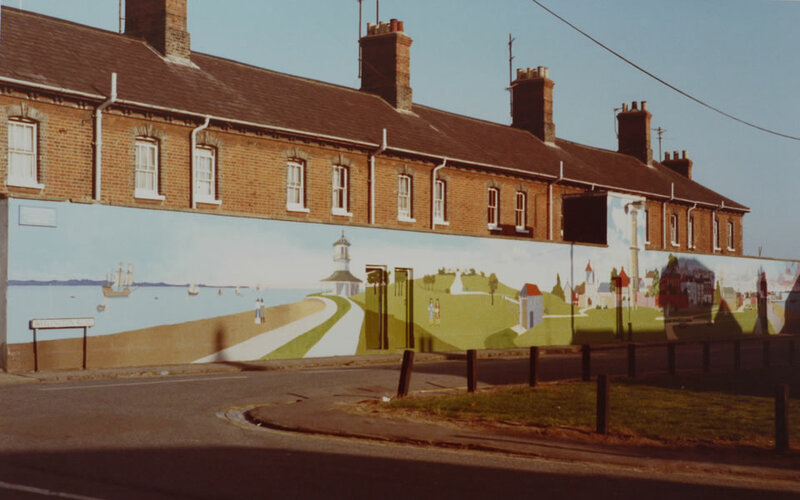 It was repainted with a new design in 1995 after repairs to the wall had mutilated the 1982 design. The present design is a collage of local buildings and ships. Again the Harwich School were involved under Harwich Society supervision. Student participation has ensured that both murals have remained graffiti free.